ASCE has honored Mohamed Abdel-Aty, Ph.D., P.E., F.ASCE, with the 2019 Francis C. Turner Award for outstanding leadership in the field of road safety, nationally and internationally. Abdel-Aty has made an exceptional impact on the transportation field with his extensive publication record, his service on committees, his presentations at conferences, and his commitment to outstanding teaching and mentoring. He has established himself as a world leader in transportation research, and particularly in transportation safety research. He has published more than 270 journal and conference papers. His impact is evident in projects that resulted in improvements to roadways and probably saved lives and millions of dollars. He was the first to study the safety of toll roads and plazas, and provide guidance for safety improvements. Also of considerable impact are Abdel-Aty’s projects on the innovative safety improvements and the systems implemented in road segments that experience reduced visibility due to weather conditions, his contributions to the Highway Safety Manual (NCHRP projects), and his development of a similar manual for Part D – for Florida DOT. He has managed 60 research projects of about $17 million. Abdel-Aty’s teaching record is impressive and has received considerable recognition. His is among the world’s most elite university teachers, having won his university’s Teaching Incentive Program Award, Excellence in Graduate Teaching Award, and University Excellence in Graduate Teaching Award. He has supervised 70 Ph.D. and M.S. students. 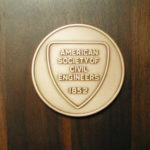 The lectureship was established by the Transportation and Development Institute (formerly the Highway and Urban Transportation Divisions) of the Society by the solicitation of gifts from the many friends and admirers of Francis C. Turner, Hon.M.ASCE, former chief engineer of the Bureau of Public Roads and retired Federal Highway Administrator.